If you are planning a relocation to New York City, our moving company is here to help. 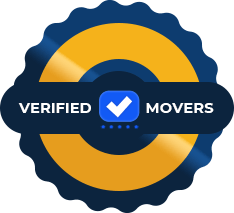 Along with many other locations that we cover, our experts for moving in Brooklyn are here to help you move your, family or your business. Dynamic movers offer quality moving services for local and long distance relocations. If you are moving to Bay Ridge, let us help you deal with all the moving boxes! Our Bay Ridge movers can help you transport your belongings safely from point A to point B. Let us hear more about your moving situation and help you plan your move without any trouble. Take a look at some of the pros of moving to Bay Ridge and how our moving company can help. One of the best Brooklyn neighborhoods in Brooklyn – Bay Ridge – is home to around 80,000 residents. 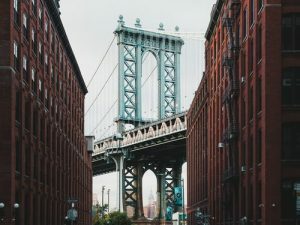 During the last decade, it has become one of the most popular neighborhoods for families and everyone looking for that historic charm of Brooklyn. If you are looking for a great neighborhood in Brooklyn for your new home, consider living in Bay Ridge. This is one of the oldest neighborhoods in Brooklyn, and also one of the most charming ones. Historic buildings and friendly environment are just some of the reasons for moving to Bay Ridge. 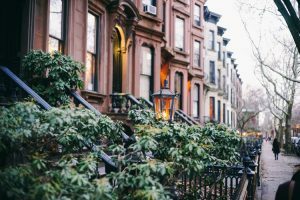 In case you are moving with your family to Brooklyn, this neighborhood could be everything you are looking for. With our Bay Ridge Movers, you can enjoy your relocation experience and forget about the moving troubles. The community is known for being family-friendly and the culture in this neighborhood is diverse. Also, this is one of the most popular places to buy an old house in New York City. If you would like to meet people of all ethnicities, this is the place for you to move. In this neighborhood, you can find many ethnic restaurants, especially along third and fifth avenues, as well as a great number of authentic bars. If you already decided to move to Bay Ridge, you should contact our Brooklyn movers. Take a look at what we can do to help you move with ease. Moving to Brooklyn? Hire our Bay Ridge movers! Whether you are moving last minute or starting to plan your Bay Ridge relocation, you can count on our moving assistance. With our Bay Ridge Movers, you can enjoy your relocation experience and forget about the moving troubles. Our moving professionals can help you transport your belongings, whether you are moving locally or long distance. Let our Bay Ridge movers where and when you plan to move, and we will make sure to ease your relocation. If you are moving to Brooklyn with your family or moving your business to Bay Ridge, finding professional movers is no longer a problem. With our Bay Ridge movers, you can choose the moving service you need and we will make sure to do the rest. Our moving company specializes in local and long distance relocations of residents, business people, and companies. If you are looking for affordable and reliable Bay Ridge movers, look no further. Local and long-distance moves. If you are moving to New York, you can rely on our long distance movers Bay Ridge. We are here to ease your relocation, no matter where you are moving to. All you need to do is let us know your moving date and let us do all the rest. Last minute relocations. If you don’t have time to pack and transport all of your belongings, you can rely on our Bay Ridge movers. Forget about straining your back and call our moving experts to help! When it comes to the moving services that are affordable and reliable, at Dynamic Movers you can get both. If you are looking for affordable movers NYC our Bay Ridge movers will offer you a wide range of moving services. You can choose how much we can help. Whether you are moving locally, long distance, cross state or out of the USA, you can count on our moving professionals. After making an estimate of your inventory and the distance of your move, our Bay Ridge movers will make sure to offer you an estimate of the moving costs. Moving services that our Bay Ridge movers offer are flexible. This means that you can explain all the details regarding your move and we will you plan your relocation. If you visit our website, you can read more tips and tricks about your moving situation and learn how to prepare for a move like a pro. Let our Bay Ridge movers where and when you plan to move, and we will make sure to ease your relocation. With so many moving companies available, it’s not always easy to choose the right one. However, with Dynamic Movers, you will get quality moving services and the best prices. 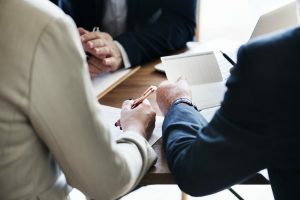 After making an estimate of your inventory and the distance of your move, our Bay Ridge movers will make sure to offer you an estimate of the moving costs. By getting an estimate, we will help you plan your moving budget and stop worrying about the money. If you are looking for a reliable moving company in New York City, you can count on Dynamic Movers. We always make sure to deliver our clients’ belongings on time and keep their inventory safe during the transport. Our moving company is here to ease your entire relocation process. No matter what your moving situation is, you can rely on our local movers in Bay Ridge.